We fully embrace our social responsibility as a company. Here at MCM we fully embrace our social responsibility and our community footprint as a company. We aim to be responsive to the problems which surround us and do our utmost in sponsoring and supporting local charities. The Big Issue North is a charity which we sponsor monthly and one which is never far from our minds. The charity offers people a chance to better their lives by becoming vendors. A vendor purchases magazines and then attempts to sell them on to the general public. The charity is best summed up as “a business solution to a social problem” and offers vendors a hand up not a handout. 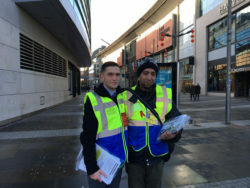 In February we took part in “The Big Sell” which is an initiative allowing members of the public to become vendors for the day and “attempt” to sell the big issue magazine. 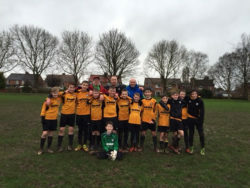 At MCM we also sponsor Davenham Rangers U12s, a great group of 13 lads who are currently unbeaten in their league and really enjoying their football. If you’re passing a vendor of 'The Big Issue' and you have the change to spare, pick up a copy of the magazine. It’s really a great read and will often have a celebrity interview or endorsement.